Eminem’s tenth studio album, Kamikaze, may have officially gone platinum in the last few days, but he’s already onto pastures new with – what’s his motherf***ing name? – Snoop Dogg! That’s right, just when you thought Slim was done, he’s gone and got back into the studio with the veteran Gin & Juice rapper. It comes just two months after he released Kamikaze at the end of August to delighted and shocked fans. The milestone was revealed by chart data on Twitter, who revealed it was now ‘eligible’ for platinum. I mean, it was bound to happen at some point, but I doubt the achievement goes unnoticed – even if the rapper is more than used to it by now. Detroit. Tomorro. 8 pm. Redemption of a Dogg had to c M. To get the stamp. May as well be speaking French to me. But you can’t help but be excited as to what these two might be cooking up. If Eminem’s latest blistering success is anything to go by, then we’re in for a treat. No doubt he and Machine Gun Kelly’s blistering yet brief beef played a big part in the sales. Remember that? Kelly went for Slim, Slim stayed quiet for a while then fired back with Killshot? That was last month, believe it or not. Seems a lifetime ago. He added: ‘Your reply got the crowd yellin’ “Oo” so before you die let’s see who can out-petty who with your corny lines. Eminem's 'Kamikaze' is now eligible for Platinum in the US. 28-year-old Kelly, who has credited Mathers as the original inspiration behind his own hip-hop writings, had sent for the veteran rapper in Rap Devil, a nod to Eminem’s Rap God. The feud between Kelly and Em began way back in 2012 when Kelly tweeted about his daughter, Hailie being ‘hot as f*ck.’ Kelly also claimed Eminem banned him from appearing on his Shade 45 channel. Eminem announced the drop of his tenth album, just eight months after the release of his previous record, Revival. Kamikaze indeed took the world by storm, and has even been considered Slim’s best album in a decade. The album quickly worked its way to the top of the Official UK Albums Chart. 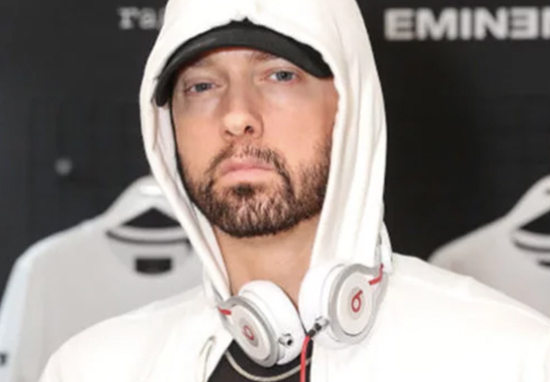 Kamikaze held on to the number one spot after its release to make music history. The surprise album is Eminem’s ninth consecutive number one album, beating the previous record which he held alongside ABBA and Led Zeppelin, who have eight consecutive number one albums each. A big congrats to Eminem, who despite being harangued via diss track, managed to overcome all the odds and go platinum for the tenth time in his career. Here’s to many more. Keep doing you, Slim.